Yay for the addition of protein powder! And love the almonds too – one of my favourite snacks. These would be a welcomed treat any time of day! So excited about the long weekend. We have lots of fun stuff planned, including going to a movie, to lunch and lots of bbqs. Hope the weather cooperates 🙂 Have a wonderful weekend, Leanne! Your weekend sounds lovely Dawn! I’m excited that the sun is shining, so a hike and a BBQ may happen after all!! Enjoy the holiday! 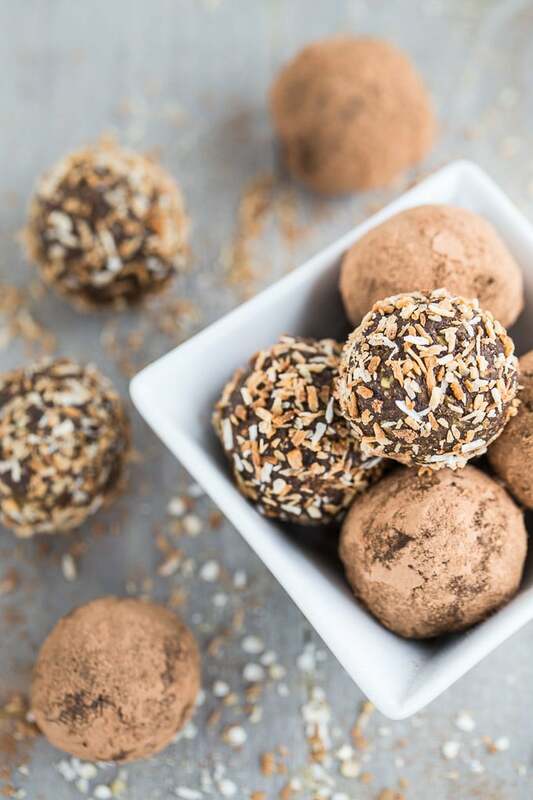 I’m always look for variations for protein bites…these look amazing! Thanks Terry! 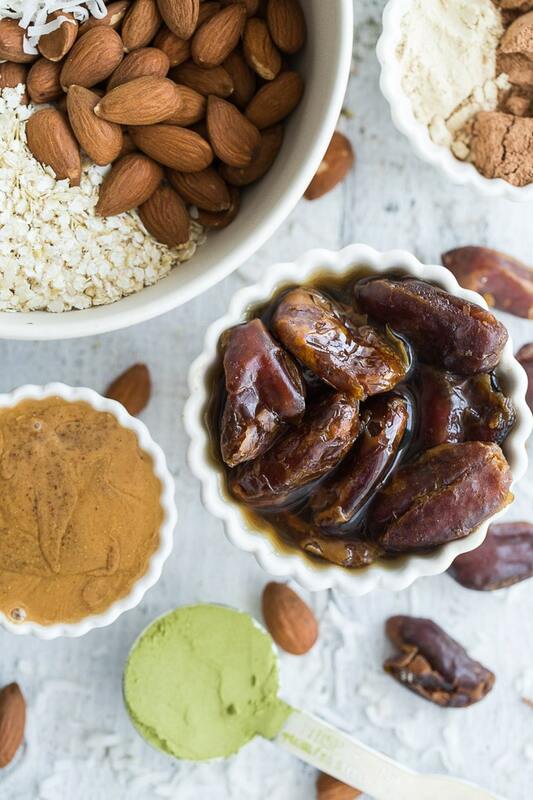 Let me know if you try these bites, and what you think of the moringa powder! These are such perfect little bites! I’ve never worked with moringa powder so I’ll have to look into it. I’m always looking for new superfoods! Have a great long weekend, Leanne! Thanks Kelsie! I’ve only been using moringa powder for a few months, but I’m really liking it in smoothie bowls and energy bites! Happy weekend! These sound wonderful! I l definitely love the addition of protein powder, moringa powder and quinoa flakes! I like the chocolate theme, of course! 🙂 Happy weekend Leanne! Thanks Kim! I crammed a lot into these bites! Glad you like the combo! Happy weekend! These look awesome! Love the extra protein from the protein powder! I’ve never heard of moringa powder but I’m definitely getting some! Thanks Lisa! I’m always trying to incorporate a little extra protein in my snacks. Let me know what you think if you try moringa powder! I do love this kind of sweets made with lots of nuts and dried fruit. The problem is that it’s so hard to stop eating them which makes it a less healthier treat:) Love the addition of quinoa flakes – I’ve never tried it, but I’m going to get some! Haha! So true Ben! Everything in moderation;). I bake with quinoa flakes quite a bit and they’re a great substitute for oats in energy bites. Would love to know what you think if you try them! I’m always looking for new little energy bites like these Leanne! They sound delish! I can’t wait to try. Thanks Mary Ann! I hope you like them! Thanks Tanya! I store them in the freezer and just grab one when I need a snack. So convenient! I hope you get a chance to try moringa. I’ve been enjoying it in these energy bites and in smoothie bowls. Ah, this looks like it would be perfect for an energy boost on mornings when I play to go out for a long bike ride! Thanks Riz. One or two of these would be perfect before a morning bike ride! These energy bites look yummy, Leanne. I also have not heard of moringa powder and will look for it. I am a huge fan of using protein powder in snacks such as these. I am looking forward to trying your recipe. Thanks for sharing! Thanks Denise! Let me know what you think if you make them! Enjoy the rest of your week! I would have to agree! 😉 Thanks Lily! These bites look delicious! Now, I’ll have to try moringa! Thanks Cathy! It’s definitely worth a try! Thanks Heather! I hadn’t heard of moringa until a few months ago, but I came across it and had to try it! Yum, yum, yum!! 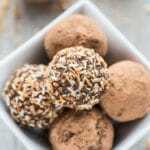 Have been looking for a new protein bite recipe and this has all of my fav ingredients! Can’t wait to try them out! Thanks so much Jessica! I hope you like them! This looks like the perfect snack Leanne, so full of flavor and so healthy. I definitely am going to be on the lookout for moringa powder though because I would love to try out this recipe. Thanks Ashika! 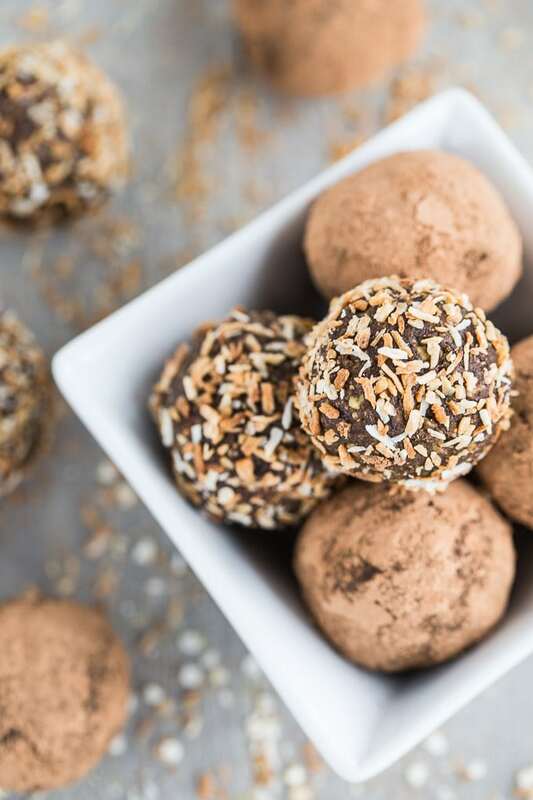 You can totally make these without moringa if you have trouble finding it. Looking forward to hearing what you think! Looks so delicious! I have never use moringa powder. I think I’m going to buy some to try your recipe. 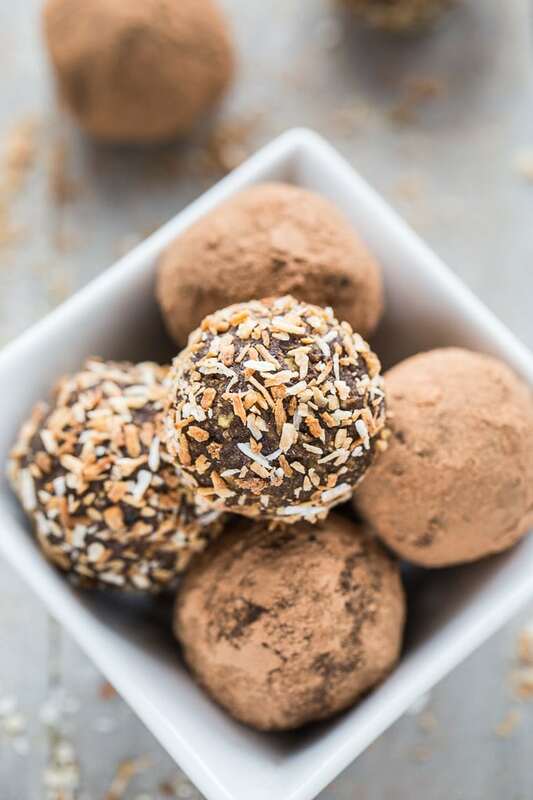 I love that you add protein powder to your bites! Thanks so much Nathalie! I hope you get to make them! Let me know what you think if you do! Haha thanks! I hear ya Christina! I store mine in the freezer so I can pace myself! Wow! 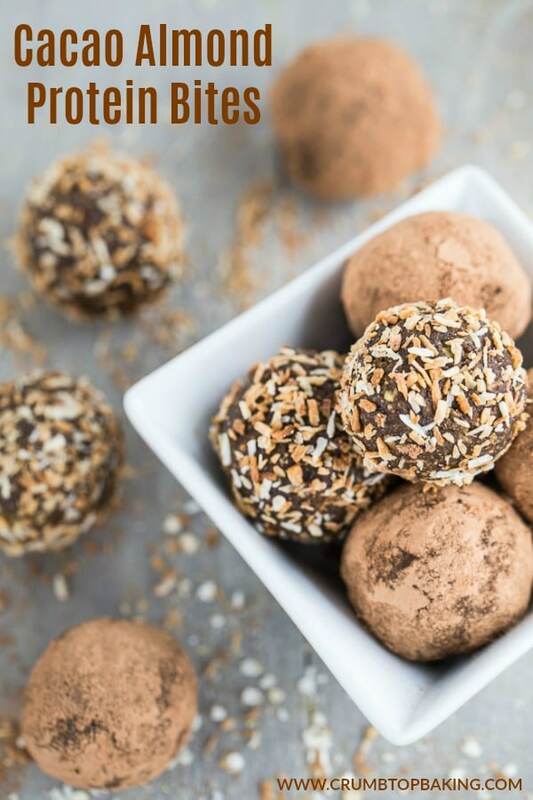 these protein balls look so delicious and tempting that I can’t wait to prepare it. Keep sharing such healthy snack ideas.